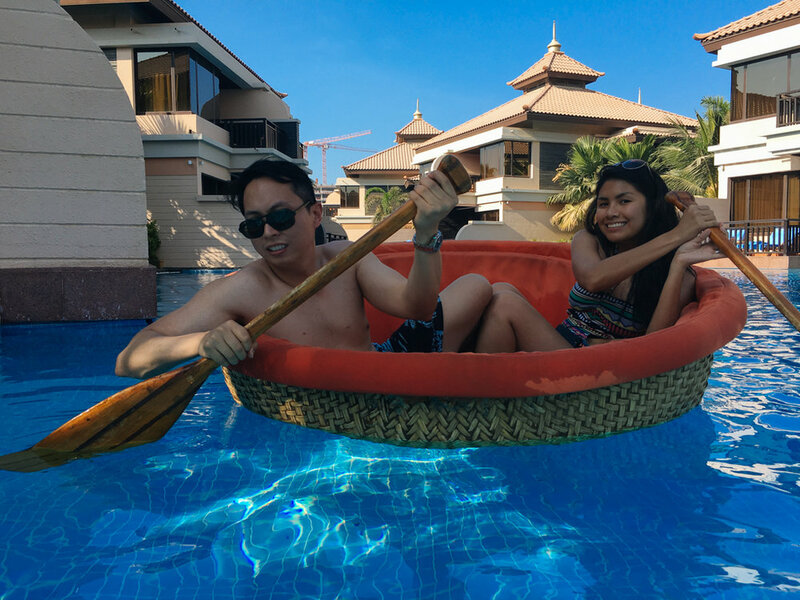 Anantara The Palm Jumeirah Dubai — Now That's a Honeymoon! 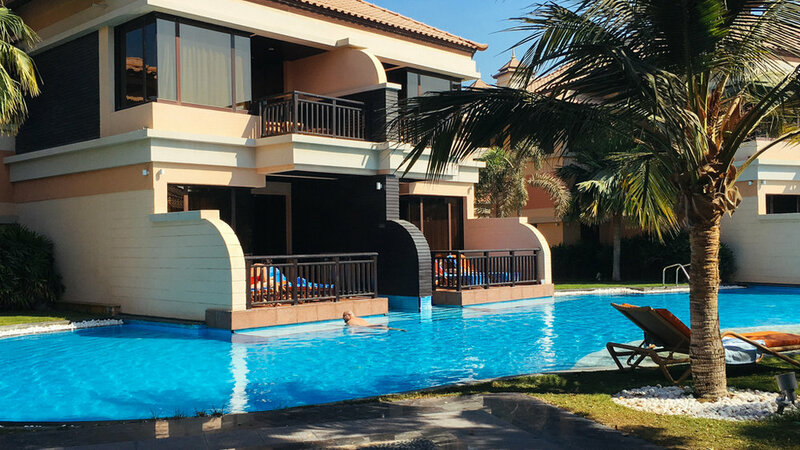 Visiting the famous Palm Jumeirah was one of the highlights from our 3-day Dubai trip. An artificial archipelago and the world’s largest man-made group of islands, The Palm takes its shapes from a palm tree measuring 3 miles long and 3 miles wide. From our hotel at The Oberoi in Business Bay, we rode a taxi to The Palm which took roughly around 45 minutes with some traffic. It was a luxury ride - we passed by countless hotels, 5-star beachfront resorts, and hotel residences. Atlantis stood out the most because of its design and incredibly massive size! 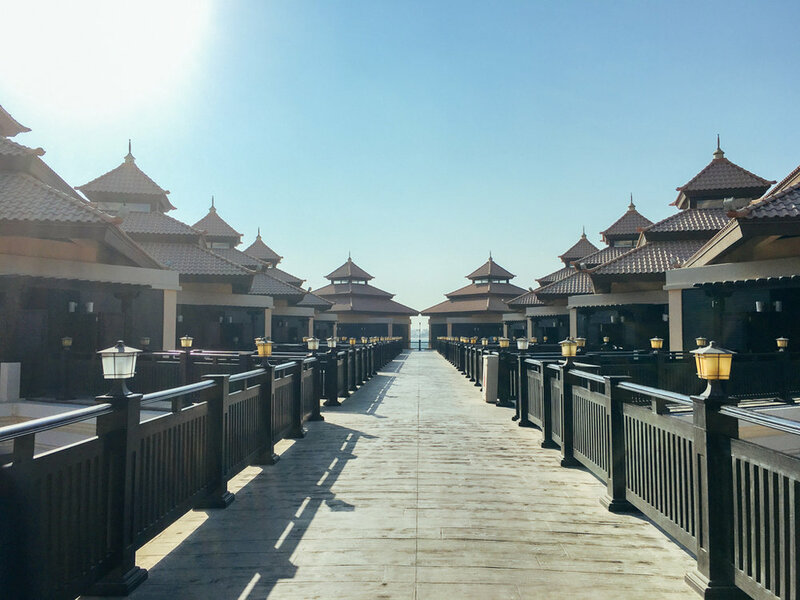 Located on the eastern crescent of Palm Jumeirah, we headed to our destination, Anantara The Palm. With nearly 300 luxury rooms and villas, Anantara The Palm has the only Over Water Villas in the UAE! 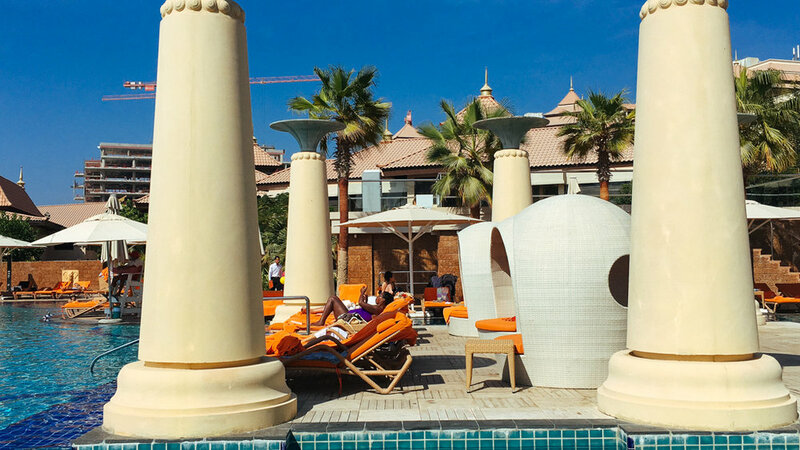 With our complimentary beach and pool day passes, we spent an afternoon in this luxury resort. We were able to use the bathrooms and lockers for changing. Wi-fi was free but since we only carried day passes, we were only given stubs for an hour’s worth of internet. So imagine us asking for more stubs every now and then! For a full sunny afternoon we did nothing but just simply relax and chill by the beach. We picked loungers by the beachfront and had such a lovely view that we couldn't quite grasp how everything on this island was manmade! Anantara’s white sandy shores and winding lagoon pools proved to be paradise. There were different apartments and villas but the rooms by the lagoon pools were the most impressive. It's a family-friendly resort! See if you can spot Atlantis from one of the pictures! Is a beach day pass worth it? Yes, especially if you aren’t staying at the Palm Jumeirah! It's a great way to catch a glimpse into the world’s most luxurious beach resorts and to relax in style. 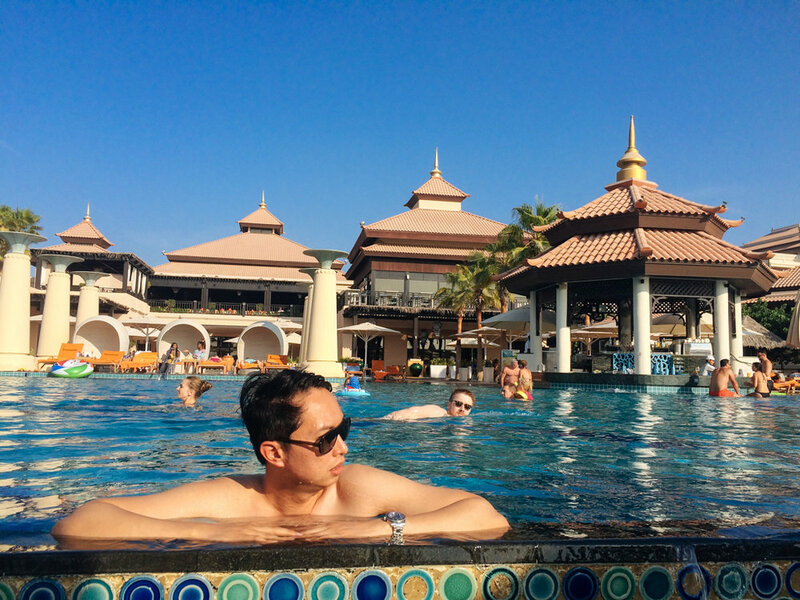 Anantara The Palm is a family-friendly hotel and also a great spot for honeymooners! Definitely! If you're planning a honeymoon that's all about relaxing by the beach, doing water sports, enjoying activities like tennis or beach volleyball, then this is the hotel for you. Amenities include a gym, a wellness spa where you can have a couples' massage, various restaurants to choose from, even a Thai cooking class you and your partner can enjoy. Anantara offers a Romantic Escape package where your choice of hotel room includes a romantic decoration, chocolates, daily breakfast for two, and a discount at the spa! Now that's a honeymoon! PLAN YOUR TRIP TO DUBAI WITH THE HELP OF OUR POSTS BELOW! Visiting Dubai soon? Click the button below for the latest travel deals.